Wow!! 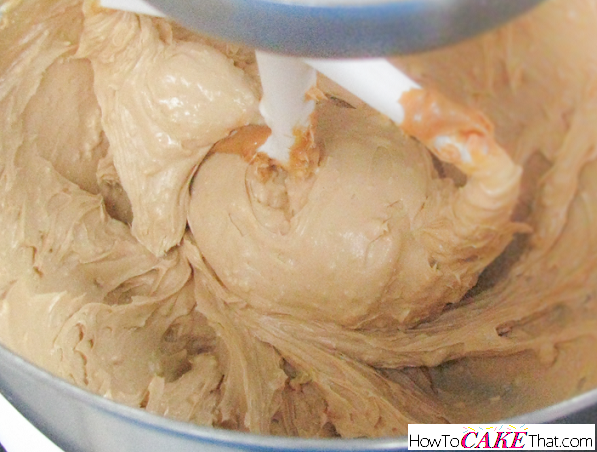 This is the smoothest, creamiest peanut butter frosting I've ever had!! 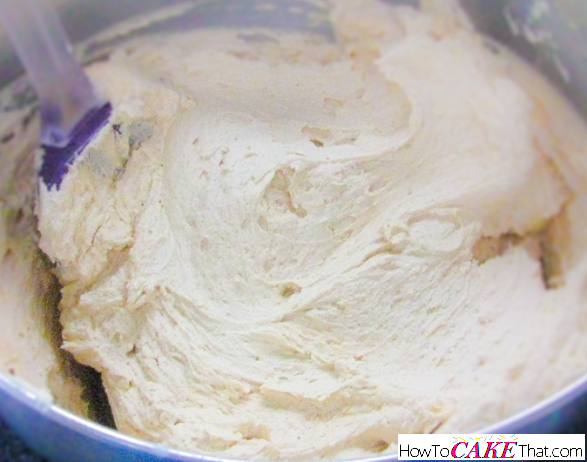 I have it listed in the American Frosting category, because it uses the same base recipe I use for all of the recipes in that section... but don't let that fool you! This frosting is most definitely not overly sweet! 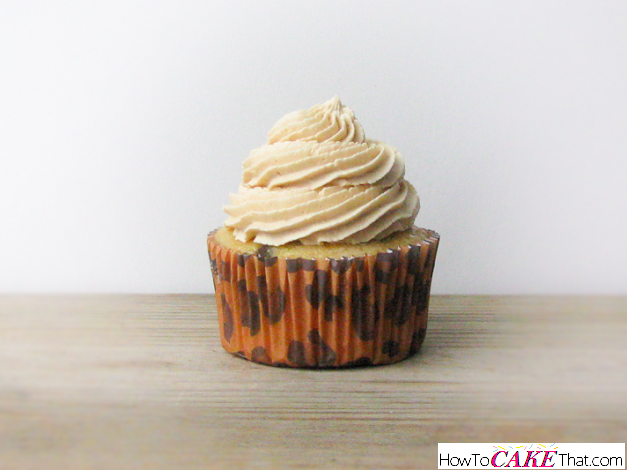 It has just the right amount of peanut butter flavor, with a fluffy, smooth texture. It is wonderful!!! 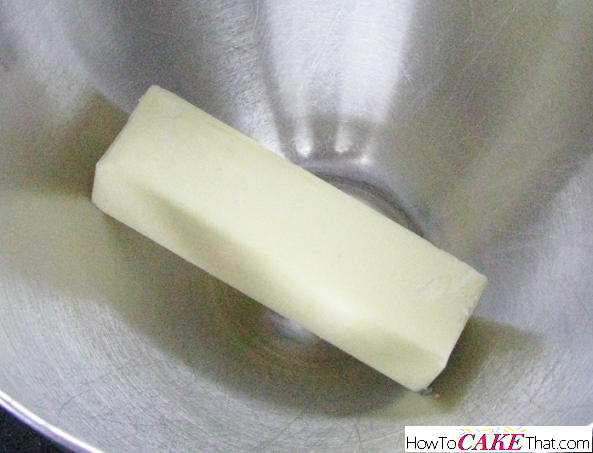 To begin this recipe, place 1 stick (4 ounces) of unsalted butter in the bowl of a stand mixer. Next, add 1/3 cup of high ratio shortening. Note: be sure to use high ratio, and not Crisco. Crisco shortening may leave a filmy aftertaste. 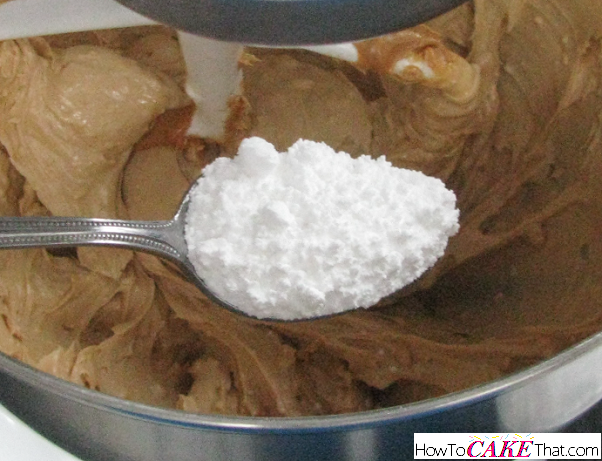 Add 1 cup of salted creamy peanut butter to the bowl. I am using Skippy Natural creamy peanut butter. 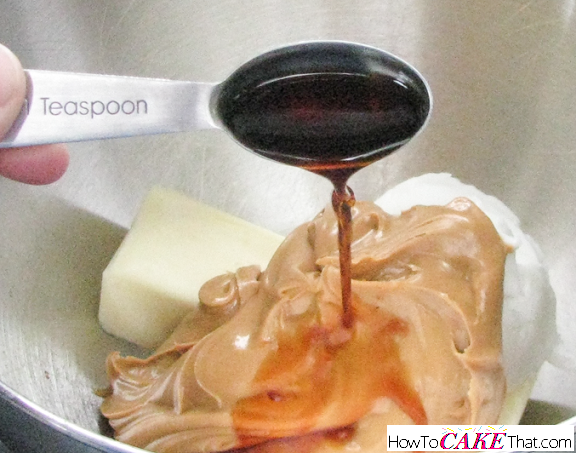 Add 1 teaspoon of pure vanilla extract to the bowl. Using paddle attachment, blend ingredients together on low or medium-low speed, until creamy and well blended. 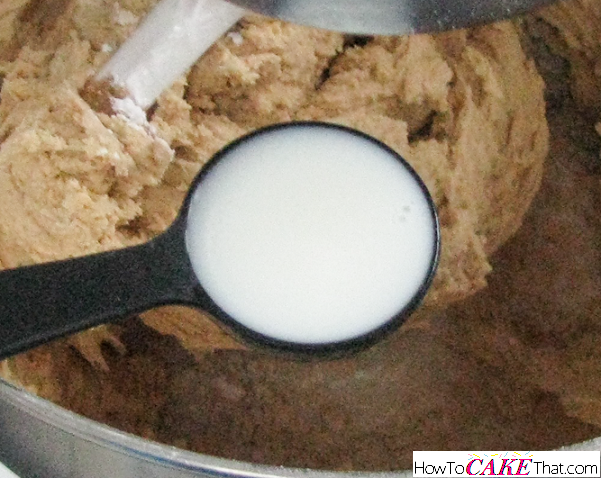 Add 11 ounces of powdered sugar to the mixing bowl, a little at a time. Be sure to mix between each addition. 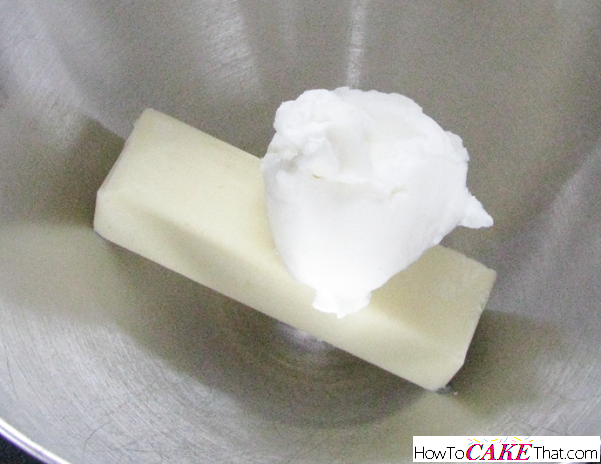 Add 4 to 5 tablespoons of milk to the bowl. 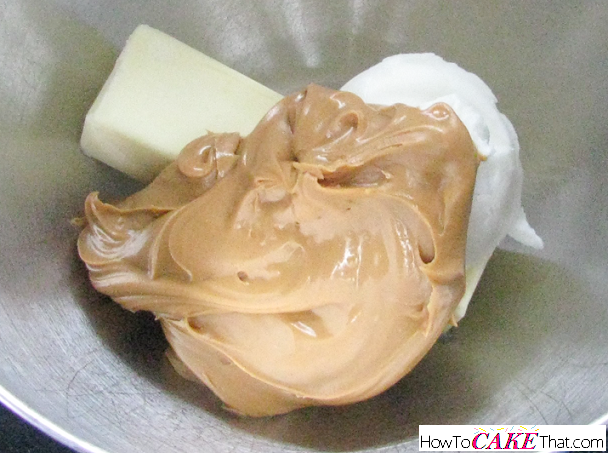 Blend ingredients on high speed for 4 minutes, until light and fluffy. Be sure stop machine and scrape down sides of bowl halfway through.